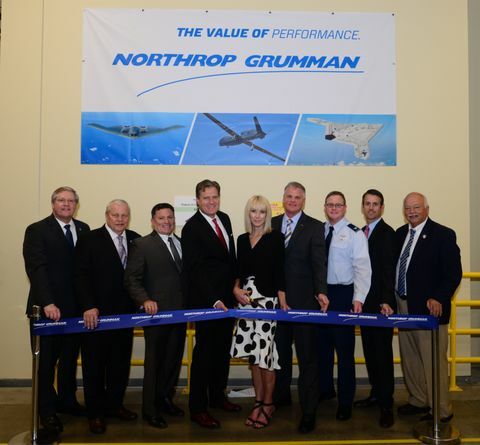 BEAVERCREEK, Ohio – Sept. 24, 2018 – Northrop Grumman Corporation (NYSE: NOC), joined by U.S. Representative Mike Turner (OH) and members of Ohio’s state and local delegations, officially opened a new operational area of its Beavercreek facility today and reaffirmed its intent to add manufacturing jobs at the site. Wendy Williams (center), vice president, aerospace structures, and Richard Passmore, director, Dayton operations cut the ribbon on a new operational area for Northrop Grumman’s Innovation Systems Dayton facility alongside (l-r) Tim Sweeney from JobsOhio, Beavercreek Mayor Bob Stone, State Rep. Rick Perales, U.S. Representative Mike Turner (OH), U.S. Air Force Colonel Bill Patrick, FD Stonewater Principal Claiborne Williams and State Senator Bob Hackett. Elected officials joined local employees to cut the ribbon on the new section of the facility that delivers important capabilities at Northrop Grumman’s Beavercreek manufacturing center. 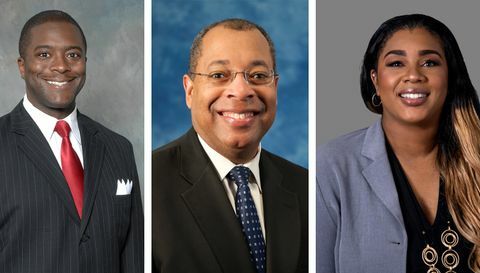 For more than three decades, Ohio employees have manufactured advanced aerospace and defense products in the Dayton aerospace sector that support the U.S. and its global allies. 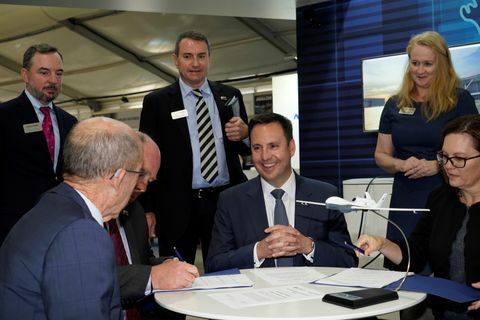 Recent facility upgrades have enabled new work on strategic aerospace programs to come to the site, diversifying the portfolio of work and bringing new jobs to the area. The Beavercreek facility was expanded by 35,000 square feet in 2017-2018 as a result of additional work and a recent award of an approximate $90 million contract to supply high temperature composites for the U.S. military. The 154,000-square-foot facility currently has more than 140 employees and produces advanced aerospace and defense composite structures. 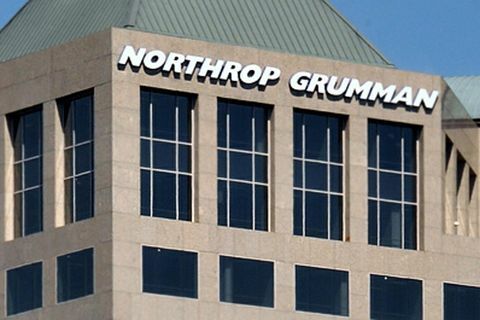 In addition to the work at Beavercreek, Northrop Grumman also supports customers located at Wright Patterson Air Force Base including the Air Force Materiel Command, Air Force Research Laboratory and Air Force Life Cycle Management Center.